Craden printers are small footprint printers designed for more compact areas. They print passbooks, validations, signature cards, receipts and cashier’s checks. Craden printers are a perfect fit if you are in need of space. 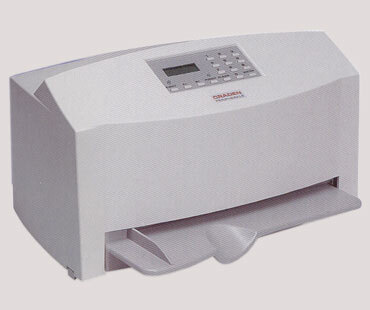 The DP9 is a Dual Serial Passbook Printer (available Certified Remanufactured and Refurbished). USB connectivity optional.